It's officially Spring! 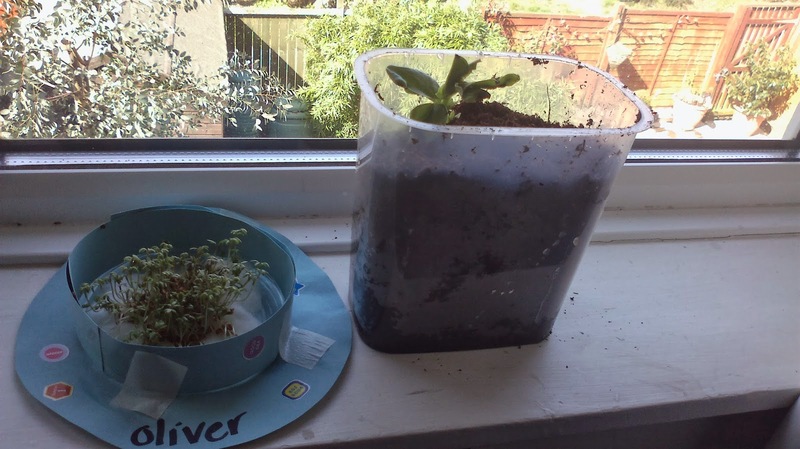 We celebrated the Vernal Equinox today by planting nasturtium seeds and transferring the bean Ollie has been growing in a jar into a yoghurt pot full of soil. 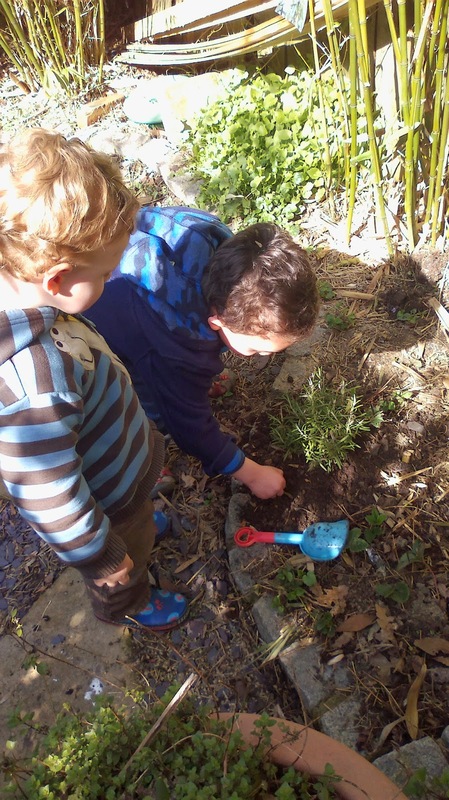 It feels nice to build up our own family traditions to mark the turning point of the seasons, and sowing seeds seemed to be a really appropriate one for Spring time. Nasturtiums are one of my favourite plants to grow with children. They're a nice big seed that little fingers can grasp easily, need only to be poked into the earth to work their magic, plus every part of the nasturtium plant is edible, so you don't need to worry about your small people grazing on things that could harm them. They're quite rampant though, so I may be rescuing the rosemary plant pictured in later months. One of my very first bog posts was about growing beans in jars so your kids can watch the shoots and roots emerging from the bean. We use broad beans at this time of year, but it works well in a few weeks time with other beans and peas such as runner beans. The only limit on when to grow them is whether the weather is warm enough to plant them out when they're too big for your window sill. Of course, if it's peas you're growing, you can just harvest the leaves and shoots for a yummy pea greens salad.